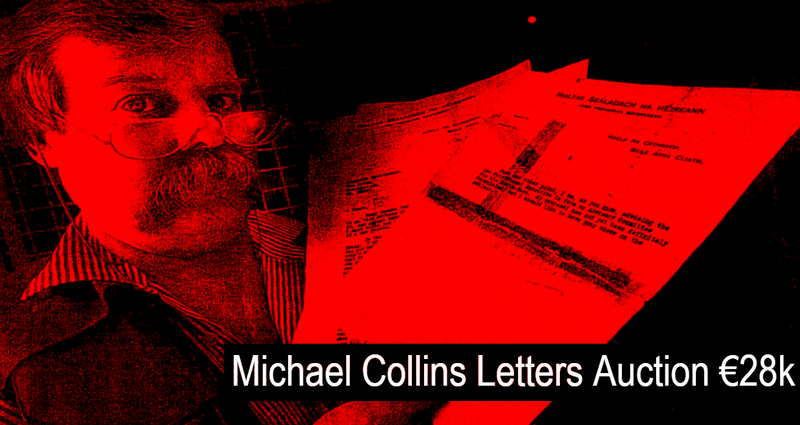 Michael Collins Letters was a three-page document sent to prominent Derry republican Louis J Walsh in 1922, telling him about his opposition to the Northern Ireland border. Replying to a letter from Walsh, Collins outlined his position regarding negotiations with Winston Churchill and unionist leader James Craig. It was written after he returned to Dublin from a meeting in London with Churchill and Craig. Collins stated in the letter that Craig's stance on partition was seen as "an unreasonable one and not ours". "All the British statesmen are agreed that it was most disastrous on Craig's part to talk about agreeing to nothing less than the six county area," he wrote. He expressed his belief that ties would increase between leaders in the north and south, leading to a united Ireland in the long term. He told Walsh that he was "no lover of partition, no matter what form it appears", and that any form of partition was "distasteful" to him. "It would be far better to fix our minds for a time on a united Ireland, for this course will not leave minorities which would be impossible to govern," he wrote. Collins also said he hoped that one day a multi-denominational party might be formed in the north east, developing links with the Free State and destabilising the northern administration.